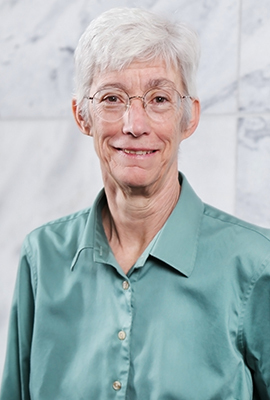 Maureen A. Cahill has served the University of Georgia School of Law for over 30 years. Cahill has been the student services librarian since November 1997. In 2018 Cahill became the Associate Director for Instruction, Access, and Outreach. She oversees the library’s circulation department, assists faculty and students with research and technology, teaches a number of research classes and coordinates library services to students. Before assuming her current position, Cahill served as a staff attorney and clinical instructor for the University of Georgia School of Law's Prisoner Legal Counseling Project for 16 years. In 1973, Cahill received a Bachelor of Arts in English from the University of North Carolina in Greensboro. She earned a Juris Doctor from the University of Georgia School of Law in 1979. She also earned a Master in Library and Information Science from the University of South Carolina College of Library and Information Science in 2000. Cahill is a member of the American Association of Law Libraries (national and southeastern chapters).